Simplify payroll processing and enhance control with a scalable solution backed by industry-leading technology and decades of earned expertise. Smaller businesses have plenty of options when it comes to processing payroll. Hosted software, bureau services, PEOs, ASOs — the possibilities are almost as varied as the needs of small companies and startups. And each type of solution is capable of running the required calculations and preparing payroll files according to given specifications. Once a business goes global, however, there are considerably less payroll software options to choose from. Features like data standardization and integrated payments become more important, while local expertise becomes essential to complying with varying regulations and statutory requirements. Long-term thinking can ease the burden of early decision-making when it comes to choosing payroll services. By starting with a scalable, cloud-based, centralized payroll platform, small businesses can benefit from the level of visibility, security, and control historically reserved for enterprise solutions — and be ready when it’s time to go global. Small businesses rely on technology to maintain efficiency and gain a competitive edge across global markets, particularly when it comes to managing key functions like human resources and global payroll. But moving data between these important areas is historically low tech, involving time-consuming, spreadsheet-bound processes. 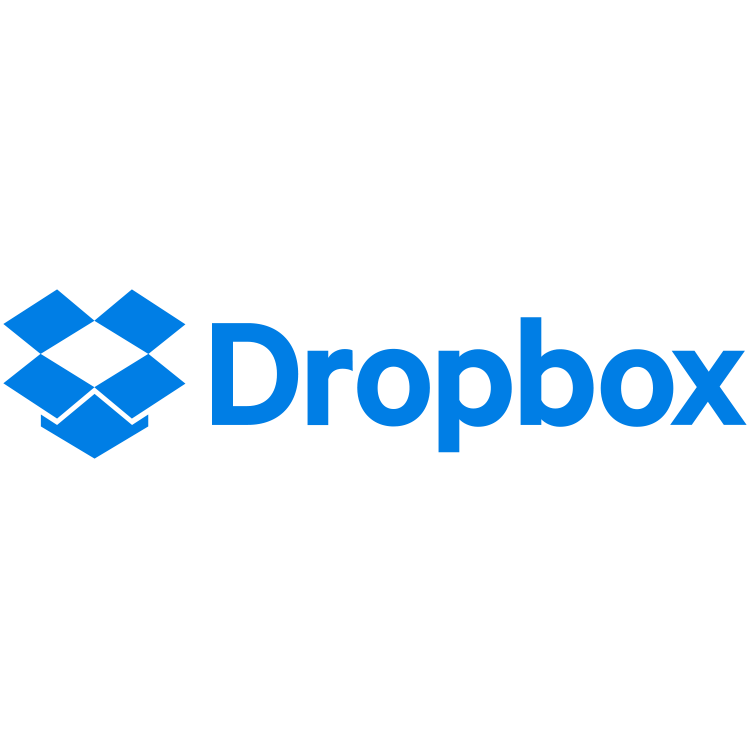 Unfortunately, relying on file uploads or manual entry of payroll data increases the chance for errors and makes sensitive personal information more vulnerable. Which is why we created CloudPay Connect. This unique framework standardizes how employee, demographic, and payroll data moves between software. Connect also enables innovative small businesses to seamlessly integrate their global payroll solution with leading HCM, ERP, and accounting software. By introducing standardized data and automation to the process, these companies achieve accurate, auditable, and compliant payroll results. Ensure high-quality full-service payroll processing and reduce costs by synchronizing data in your HCM with CloudPay. Achieve broad visibility of payroll costs via secure web integration protocols that import data from existing finance and ERP systems. Integrate payroll results and payslips to give employees access to statutory-compliant pay information within your HCM, or use our own employee self-service interface. Reduce IT and development expenses with system integrations designed, built, and maintained by CloudPay’s team of experts. Measure what matters with our advanced analytics toolset, designed to deliver insights and help inform important decisions about your business. The most successful global companies rely on analytics to power decision-making across key areas of the enterprise like global payroll. Now smaller businesses can too. The best payroll management requires real-time intelligence on the entire process, but when stakeholders just look at monthly exception reports, they miss the opportunity to answer critical business questions or identify areas for process improvement. But with CloudPay Analytics, global companies of all sizes have access to real-time payroll reports and insights. CloudPay Analytics combines advanced business intelligence technology with standardized data and streamlined integration to provide complete transparency into payroll processing. With a configurable dashboard view of their global payroll, small businesses can monitor KPIs, assess trends, benchmark their performance, and drive broad and specific process improvements. By analyzing data within CloudPay Payroll and integrating it with data from HCM and ERP systems, CloudPay Analytics delivers a single version of truth for payroll processing across the business footprint. Improve efficiency by minimizing the time and effort spent on data collection and management. Inform better decisions with a dashboard view of productivity and performance insights. Automate reporting to simplify KPI monitoring and benchmarking, and identify and address issues at their root cause. Gain a greater understanding of basic payroll expenses and uncover hidden costs by looking at spending across categories and geographies. Support business growth and expansion by leveraging strategic insights from your payroll operations. Gain confidence in payroll activities and meet statutory requirements using a secure, centralized global repository for compliance documents. Every border brings new challenges to maintaining payroll compliance. With each new country and municipal jurisdiction a small business enters comes a variety of ever-changing payroll laws and regulations — and the consequences of noncompliance are steep. Missed deadlines, incomplete filings, and mismanaged tax calculations can lead to fines, legal repercussions, and reputational harm that could mean the end for a smaller business. 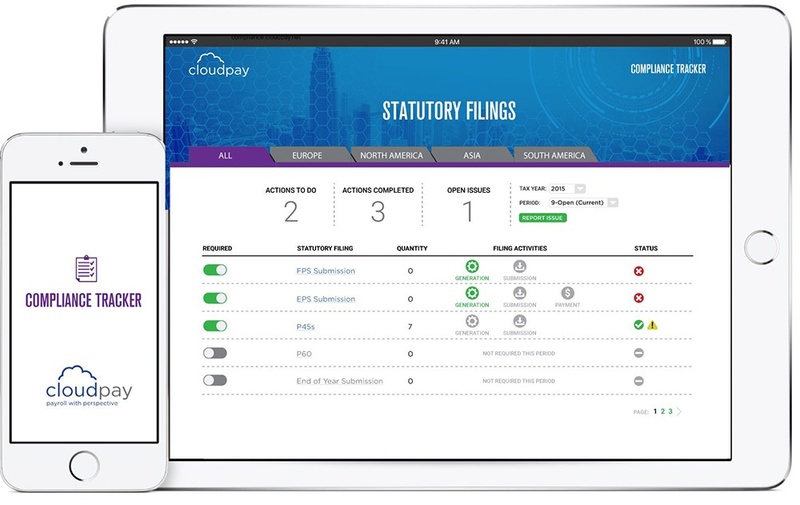 CloudPay takes the guesswork out of global payroll compliance. Our end-to-end Compliance Tracker provides small business owners with complete transparency into all statutory guidelines and tax requirements across locations, with real-time visibility into tax filing schedules and statuses. CloudPay is fully equipped with issue-tracking functionality and auditable processes for SOX compliance and risk management. This enables CloudPay to manage statutory filings and payments while providing a secure, consolidated global library for storing and accessing all compliance-related documents. Which means you can trust your payroll management, with effective communication and compliance on a global scale. Understand the rules and regulations that affect your global business, with CloudPay’s local experts to guide you through the challenges of in-country compliance. Monitor and track the compliance status of every payroll in every location, with easy access to schedules and tax filing deadlines so you can assign resources wisely. Mitigate your compliance risk with top-tier security and proactive issue resolution, backed by CloudPay’s 20+ years of experience in global compliance and customer support. Ensure timely,compliant payments and increase efficiency with an integrated global payments solution and treasury services. Understanding and meeting compensation expectations and statutory payment requirements for an international workforce can be a challenge for smaller businesses. Inefficiencies and compliance risks can pile up as you manage banking platforms and costly transaction fees across locations. CloudPay simplifies treasury services for small business owners. Our integrated, automated solution lets you pay far-flung employees and third parties in a trackable, cost-efficient way. CloudPay Payments auto-populates funding requests through our payroll application, eliminating manual file transfers to bank accounts and minimizing fees. Our flexible solution offers three different funding options and single-currency settlement in USD, GBP, SGD, and EUR. Centralizing global payment processes and configuring CloudPay Payments to meet your unique business needs will help realize greater payment accuracy and compliance. Assure data security with a system that automatically and securely transfers run payroll data to the appropriate payment vendors. Easily send funds for payroll payments or payroll taxes according to the schedule that works for your business and in support of the payment methods that meet employee needs, such as direct deposit. Receive automatically generated reconciliation reports for payments, guaranteeing a fully compliant, documented audit process and effective reconciliation. To ensure a successful transformation, you must plan for a thoughtful implementation of global payroll to support your growing business—something CloudPay has been helping small businesses around the world do for more than twenty years.